Frankie Gavin & De Dannan, this Friday! Tickets are still vailable for Frankie Gavin and De Dannan live in Swinford Church this coming Friday. 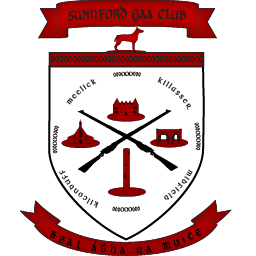 This event, being put on by Swinford GAA, will kick off the Siamsa Sraide celebrations beginning this Bank Holiday weekend. Tickets, priced €15 for adults and €10 for u-18’s and OAP’s, can be bought from Swinford GAA club, Melletts Bar, O’Connell’s Pharmacy, The White House and The Gateway Hotel and on SwinfordGAA.ie. I saw Frankie Gavin and De Dannan in London on Tuesday – they were stunning. You’re in for a great great night. Wish I could be there with you.